"Why Did You Vote to Cut Homeless Shelter Funding, @norm?" Go ahead. Ask him. See what happens. The 6Dad is having a rough go of it lately. Since voting against designating Toronto a sanctuary city in 2014 and more recently voting to cut funding for homeless shelters, @norm’s brand has seemed increasingly out of touch with the actual problems that the city faces. As he continues to push his (stupid) clothing line, criticism has been mounting for the world’s most unlikely celebrity. @norm why did you vote for homeless shelter staff cuts? @norm great! So why did you vote to cut homeless shelter funding? Me: Hey @norm why did you vote for homeless shelter staffing cuts? I got blocked by @norm. Crowning achievement of @BlakeMurphyODC. was it because we asked for a full accounting of his "charity"
Norm Kelly is an odd internet celebrity, insofar as being a big fan more or less requires you to ignore the way he does his job. It is hard to be a fan of both Councillor Norm Kelly and @norm, because the former makes the latter seem ingratiating. 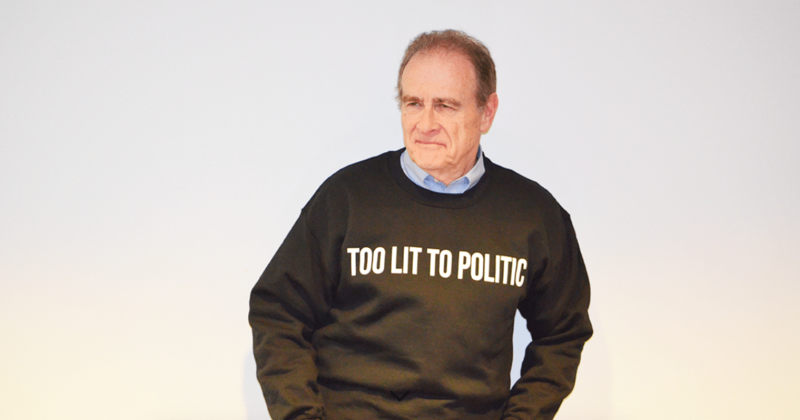 @norm is a curious, if dated, internet meme who is memorable because of the inherent irony in an old white dude inserting himself into Black culture. On the other hand there’s Councillor Kelly: a mysteriously still-employed politician who denies that climate change is real and has proclaimed to City Council that he thinks bike lanes will be replaced with hover lanes in 20 years. For a while this was a cute distraction from Toronto politics, and for to many it still is: Norm was featured on a recent episode of the podcast Reply All, where hosts Alex Goldman and PJ Vogt dove into the 6Dad phenomenon for the benefit of their boss, Alex Bloomberg. (This, for the uninitiated, is a regular bit they do on the show.) There are plenty of @norm-ies on the Internet who absolutely love everything to do with him—the Twitter account, the clothing line, and the dorky greeting cards. The @norm brand, it seems, is alive and well. Pictured: @norm’s response to criticism of his vote to cut funding to homeless shelters. What’s frustrating from a political perspective, however, is that the @norm brand is an effective buffer zone between himself and the people he represents. By being a popular Twitter user, @norm can try to present himself a popular politician, but we’re not buying it: If @norm wanted to be a popular politician, he might try compassion on for size. Instead, he’s a rank-and-file right-winger. As such, asking him why he voted to cut homeless shelter funding is a futile act, because the Norm Kelly that everyone sees on Twitter is a different Norm Kelly than who shows up to City Council. One is a dweeby in-joke that has gone on too long. The other is a conservative politician who has simply been in Council too long. And after all this, Torontonians deserve an answer: why did you vote to cut homeless shelter funding, @norm?